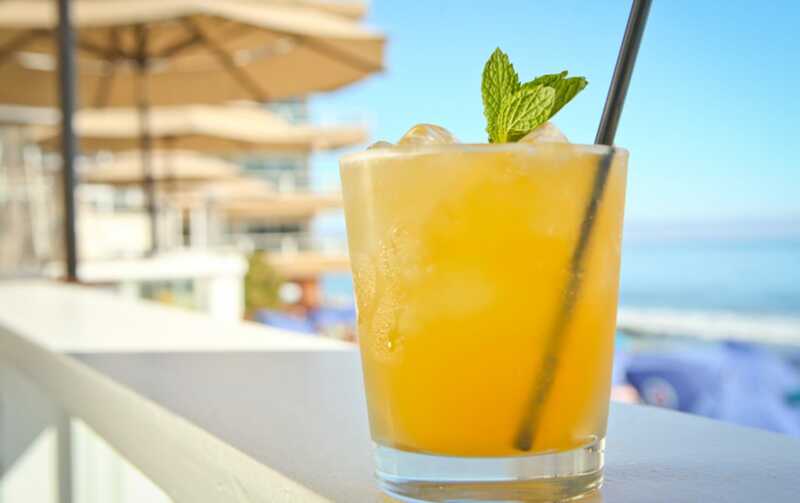 The Deck’s refreshed space, culinary delights, and wine options – paired with an approachable team of fresh personalities – create the perfect setting for any oceanside gathering, beach party, or special event. The contemporary and stylish yet casual ambiance captivates local residents and visitors alike. You can’t get any closer to the beach than at The Deck. We invite you to try The Deck’s welcoming interior space inside The Villa, just above The Deck. It is the perfect setting for a birthday celebration, family gathering, corporate meetings, or industry soirees. As part of the 5,800 square-foot beachfront venue that is home to The Deck and The Villa, you will find the Green Room, located behind The Deck. In surfing, the green room is the inside of a barrel that is produced by a wave. This term was coined due to the color of light reflected into the barrel. Both the Green Room and The Villa spaces boast unparalleled ocean views and a working fireplace. Adjacent to The Deck, The Bungalows at the Pacific Edge Hotel offer the ultimate day at the beach. The Bungalows provide a fully catered day at the beach for your small and large groups for private and corporate occasions. Along with stunning interior décor, each Bungalow at the Pacific Edge Hotel includes a comfortable living room that overlooks the ocean, a VIP Bungalow Host, a private bathroom with a shower, a bar area, valet parking, catered food and beverages from The Deck, and a private oceanfront deck area. Rent one Bungalow for up to ten guests, or reserve all five Bungalows for an oceanfront event.